Want to attend a big convention but overwhelmed by the process behind San Diego Comic-Con? On the east coast and can’t afford to fly to California? Or are you just honestly interested in attending New York Comic Con but aren’t sure how to go about it? This post is for you! I live in New York City and have been attending New York Comic Con since 2010, so I put together this basic guide for anyone who’s interested in attending and doesn’t quite know where to start. Keep in mind, a lot of the information in this post will be specific to the current year, or not even be relevant anymore. ReedPop (the company behind NYCC) is constantly changing its process, and I’m basing a lot of these tips off of last year. I’ll update this post for 2019 as things get announced. New York Comic Con (NYCC) is a four-day comic and pop culture convention held annually in the Javits Convention Center in New York City with additional programming at nearby Madison Square Garden, Hammerstein Ballroom, and Hudson Mercantile. It’s not quite got the scale or spectacle of its west coast cousin, but it has been steadily rising in prominence for the past several years. Since 2010, New York Comic Con has been held the first weekend in October. This year (2019), it is Thursday, October 3 through Sunday, October 6. Thursday, Friday, and Saturday are full days, with the convention floor open from 10am-7pm (Artist Alley is open until 8pm) and programming running from around 10:30-11am to 10pm. Sunday is a shorter day, with everything ending at 5pm. 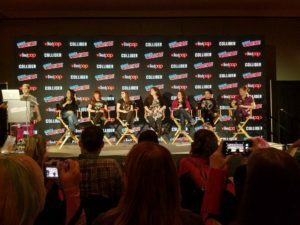 Unlike SDCC, where you can almost completely count on a show or a film having a panel, NYCC can often be hit or miss with its guests. As a frequent attendee, I have fun every year and can always find something to enjoy, but a lot of people hold out for specific guests and can be disappointed when those guests don’t appear. 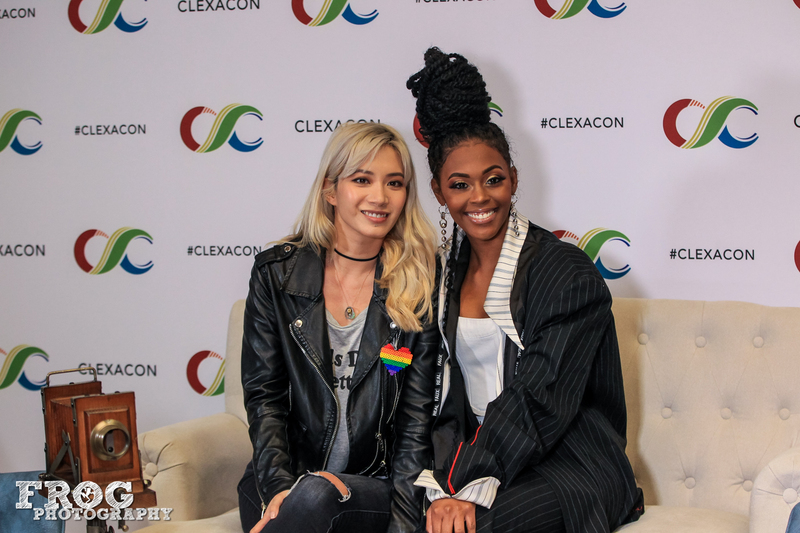 While special guests will start being announced soon, the schedule doesn’t start getting released until September – well after tickets go on sale – with the full schedule not being available until probably the week before the con. Basically, if you want to go, buy your tickets when they go on sale. If you wait to see who is attending, you’ll probably miss out on tickets. Don’t expect anyone or anything specific to be there, and just plan to have a good time regardless. Movie studios tend to skip NYCC, so I wouldn’t expect any huge film news to come out of it. There was a panel for Pacific Rim: Uprising in 2017, but film panels used to be pretty rare. This is starting to change, however. There were quite a few film panels in 2018 – How to Train Your Dragon, The Mortal Engines, and Hellboy are a few movies that set up shop in Madison Square Garden. NYCC’s guests tend to come more from TV, books, and comics. Marvel is a perennial presence – Agents of S.H.I.E.L.D. has a yearly panel, as does one of the Netflix offerings (last year it was Runaways). The Walking Dead also comes every year (and has been featured on the badges since 2011). Syfy likes to show up, as does Freeform, Starz, and MTV (if they have a scripted show). Hulu was a big star last year and brought several shows. More studios attend SDCC because most shows aren’t filming yet, whereas a lot of stuff is in production in October, so a lot of the TV panels at New York Comic Con tend to be mid-season shows. 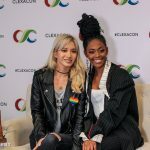 Keep in mind when checking the site, New York Comic Con usually only puts guests on the website if they are doing an autograph or photo op session. The guests listed on the website will NOT be the only guests who you’ll be able to see at the convention. If an actor is coming as part of a panel for their show, they aren’t usually mentioned except in the panel description. First of all, I’d recommend signing up for the NYCC newsletter. That way you’ll get emails from them about important things like badge sales, guest announcements, and so on. You will also need to sign up for Fan Verification once that opens up, more on that later. I’d also suggest following NYCC on their various social media platforms, particularly Twitter. A few days before the badge sale, if you signed up for the newsletter and Fan Verification, you will be emailed a link to a virtual waiting room. This is a unique link that will expire after you buy the maximum number of badges, so don’t share it with anyone! 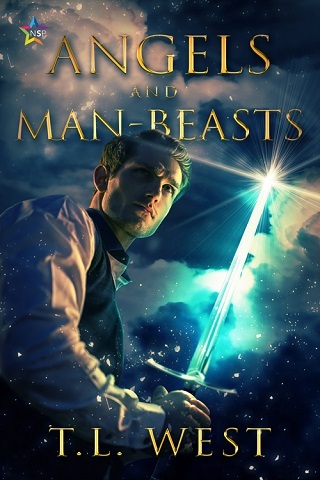 On the date and time of the sale (given in the email), click the link and join the queue. In last year’s presale, attendees were instructed to click the link exactly on time, and if they had gotten there early, to refresh when the sale went live. The sale usually goes live at 10am Eastern. NYCC badges are first come, first served. Each link allows you purchase 16 badges total – 4 Thursday, 4 Friday, 4 Saturday, 4 Sunday. The badges will be held in your cart for a specified amount of time while you fill out the necessary information and assign the badges. Each person can only be assigned 1 badge per type. Here is a walkthrough on how to assign badges. 4-day badges are only available to those eligible to participate in the presale. When Do Badges Go on Sale? Monday April 22: Pro Applications Go Live – If you are a professional in the comics or entertainment industry and wish to apply for a pro badge, applications open this day. Sunday May 5: NYCC Badge Presale – This is only for people who were fan verified previously. If you’re not verified from previous years (and renewed your verification), you are not eligible for the presale and must wait for the general sale. 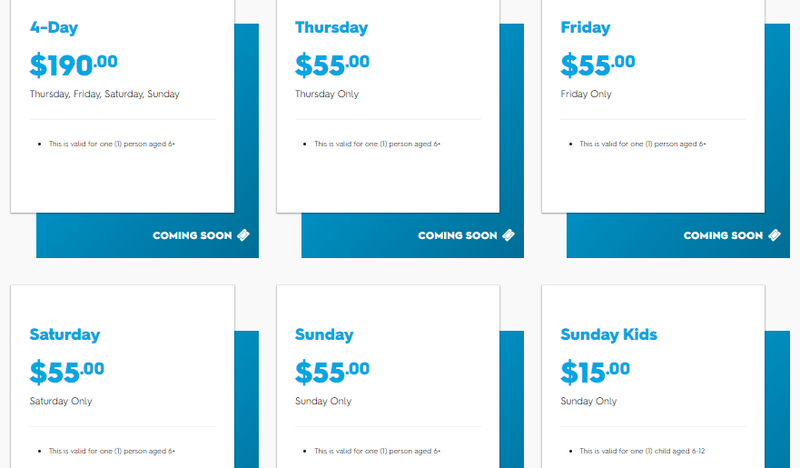 In the presale ONLY will you be able to buy 4-day badges, and only for people who are eligible for the presale. Wednesday May 8: NYCC Fan Verification Opens – You MUST be fan verified in order to purchase tickets and attend NYCC. It’s a very simple survey that you sign up with using your email address. In 2019, you can buy for people who do not have a Fan Verification profile, but it is recommended that everyone attending NYCC set one up. Sunday June 2: Fan Verification Closes – Remember, you need a fan verification profile to buy tickets and enter any of the pre-show lotteries, so you have to sign up before this date! Wednesday June 12: NYCC Badge General Sale – Open to everyone! For more information about Fan Verification, please visit the NYCC FAQ page. How Much Do Badges Cost? More information about badges can be found here. As of 2018, you can manage your badges (and anything loaded onto your badges – autographs, etc.) through your Fan Verification account. Learn more about managing badges here. Starting in 2019, badges are FULLY REFUNDABLE and EXCHANGEABLE through ReedPop’s verified reselling platform, Lyte. Well, in previous years, yes. In 2016, badges sold out within several hours of going on sale. In 2017, they did away with 4-day and 3-day passes, and only Saturday sold out same day, with Friday selling out a couple of days later. However, Thursday and Sunday badges were available for several months after, and if they did sell out, only did so very close to the con itself. Basically, if you really want to go (especially on Saturday), I would try very hard to make time on the day of the sale, because you cannot count on tickets being available after. What Is Included with My Badge? A New York Comic Con badge grants you entrance to the Javits Convention Center – and any programming at offsites like Madison Square Garden, Hammerstein Ballroom, and Hudson Mercantile – for the day specified on your badge. NYCC doesn’t really have a lot of offsites like SDCC does, so that’s not something you have to worry about. As a regular attendee, you are also eligible for the Pre-Show Lotteries. What Are the Pre-Show Lotteries? Oh, I’m so glad you asked! In 2016, ReedPop started implementing Pre-Show Lotteries for things like autographs and exclusives. In 2017, they updated that to include panels at the Main Stage in the Javits. As of 2019, they are including the Hammerstein Ballroom and Hulu Theater at Madison Square Garden. All other panels are first come, first served. Private autographs. This does NOT include autographs at individual booths, or individuals in the autographing area. This is only for official, limited NYCC autographing sessions, like last year’s Good Omens cast signing. These signings are FREE. They will give you an item (usually a poster) for the guests to sign. Some convention exclusives. Last year I think it was only Funko and LEGO who were included. If you are interested in exclusives from other vendors, check with those vendors for their policies. Main Stage Panels. 50% of the seats are allotted in the lottery, the other 50% are first come, first served in the morning line. Main Stage is cleared after every panel. Hammerstein & Hulu Theater Panels. As with Main Stage, a certain number of seats will be awarded in the lottery with the rest available for those who line up. Hammerstein & Hulu will only clear the reserved (lottery) section after each panel, not the full room. In 2018, you were allowed to choose up to 5 panels/signings and 2 exclusives per each day of the convention that you are attending. Select them in order of priority. Make all of your selections for each day BEFORE submitting, because you cannot go back and edit once you’ve submitted. For panels, you can enter up to three friends to attend the panel with you. In 2018, I didn’t win any myself, but I went as a guest with a couple of friends. You must have their Fan Verification emails handy, because you will need them when you enter. You must be Fan Verified to participate in the lotteries. Within a few days of the lottery closing, winners will be notified via email. If you’re a winner, you have 48 hours to confirm your attendance or you will lose your spot. Badges purchased by September 15 will be mailed via USPS. If you purchase a badge after September 15, you need to take your email confirmation to Will Call. They usually have Will Call open a day or two before the convention so that you don’t have to show up that morning and get your badges. International attendees can choose to have their badges mailed or pick up at Will Call. NYCC offers a limited number of reduced-rate hotel rooms. The list is not live yet, but I will link when it is available. These are generally fairly close to the convention center and sometimes include a shuttle to and from. Being a resident, I’ve never done this, but it’s nowhere on the scale of SDCC’s “Hotelpocalypse”. However, New York City is HUGE. If you’re willing to use public transportation, you can probably find somewhere cheaper if you don’t mind staying a bit further out. (I commute from Brooklyn every morning.) With the 7 line extension, which stops across the street from the Javits, it’s pretty easy to get to and from the convention every day. Keep in mind that in New York City, AirBnB’s are not legal unless the tenant is present. Please don’t contribute to our housing crisis! There are tons of decently-priced hotel rooms if you’re willing to travel, and we have several hostels if you just need some place to crash. New York Comic Con also has some helpful tips about travel into and around the city. You’ve got your ticket, you’ve got your hotel and travel booked, now it’s time to focus on the convention itself. For information about stuff like the prop weapons policy, selfie sticks, and things of that nature, check out the NYCC Fan FAQ. I’m not very familiar with the ADA requirements and availability but I can give a brief overview. This is only going to be about the Javits Center – I have not attended panels at any of the offsites and do not know their capabilities. I would recommend contacting ReedPop for more information, or contacting the venues directly. Medical stickers are provided to people with a range of disabilities as well as one (1) companion, if necessary. To obtain a medical sticker, either fill out an application before the show (applications will open after tickets have gone on sale), or visit the Medical Assistance desk located near Will Call in the Crystal Palace when you arrive. There is an ADA line and seating area in all Javits panels on a first come, first served basis. Seating is not guaranteed, so they recommend arriving at least 15 minutes prior to the start of the panel. The Javits is fully accessible with ramps, automatic doors at street level, restrooms and elevators available for people with impaired mobility. Payphones are accessible and equipped with volume and TTY capability for the hearing impaired. There is no on-site parking at the Javits, and this year NYCC is not running any shuttles, but all city buses are wheelchair-accessible, as are many official NYC taxis. 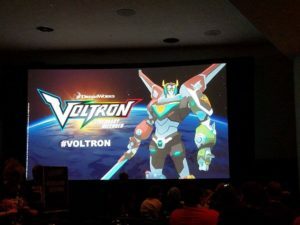 There is more information about this in the Travel section on the NYCC website. This will also be helpful if you want to go to any of the offsites, which can be several blocks away. Motorized wheelchairs are available to rent – manual wheelchairs are available at no fee – but must be reserved in advance. Call 212-216-2196 for more information. Interpreters for the hard of hearing can be provided but must be arranged in advance. They cannot be accommodated on site. Contact ReedPop with your personal information (name, email, phone #) at Info@ReedPOP.com at least three (3) weeks in advance of the con. Guide dogs and other service animals are allowed provided they are leashed or harnessed (unless doing so restricts their duties, in which case you must be able to maintain control). No venomous, poisonous, predatory, or overly large animals are allowed. For more information on the Medical Assistance program at NYCC, click here. When you receive your badge, either in the mail or at Will Call, you need to activate it! So much stuff at NYCC relies on “tapping” your badge (having the RFID in your badge scanned), and if it isn’t activated, it won’t work. So save yourself some hassle and activate in advance. Activating your badge is easy. If you receive your badge in the mail, there will be instructions included, giving the website to visit. Then you simply enter your fan verified email along with the number on the back of the badge. Once the schedule starts getting released, make your own! You can use the My Show aspect of the NYCC website/app, or you can do what I do and make a spreadsheet. Odds are that you will not get to do everything you want, so I suggest focusing on one thing each day and concentrate on getting to do that. Then everything else you get to do is just extra. Keep in mind that not everything that happens at the convention will be on the NYCC website! If you’re not already, follow your favorite vendors, stars, authors, artists, etc., on Twitter and keep an eye on announcements. I’d also recommend making frequent visits to forums like Friends of Comic Con or the NYCC subreddit for news. Individual booths have their own schedules for giveaways and signings, some of which require nabbing a wristband or ticket first thing in the morning. Last year, several studios had activations in the Crystal Palace (the Javits lobby). Doing any of these required waiting in line, so keep that in mind when making your schedule! Speaking of lines, aside from the Main Stage, which is cleared after every panel, and Hammerstein/Hulu Theater, where certain sections will be cleared, panels are first come, first served and DO NOT clear. If there is a panel you really want to see, and you want a good seat, I’d recommend aiming for the panel right before it, and then trying to move up when people leave at the end. Have a backup plan! And make sure your backup plan has a backup plan. I usually have three separate schedules, with Plan A being the stuff I really want to do, and Plans B and C being stuff I’m interested in that I wouldn’t mind doing if I can’t do whatever is on Plan A. Some special guests have autographing and photo sessions that can be purchased. These will be made available on the NYCC website and can be bought either at the con or in advance. I recommend buying anything you want in advance. 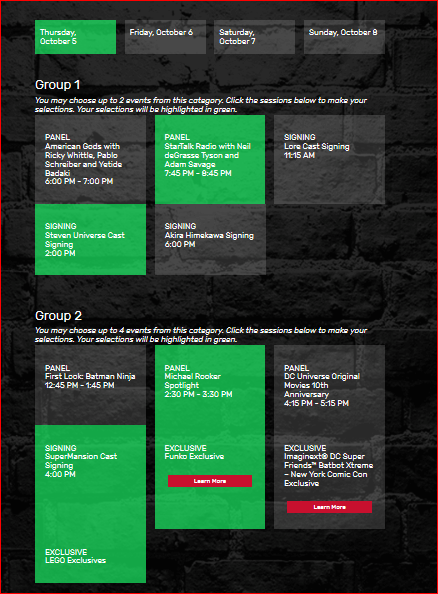 Keep in mind, not all of the guests attending NYCC will have these sessions. When the sales go live, there will be more instructions for you. For photo ops, you are generally instructed to pick an appointment time, and then to show up around 15 minutes prior to the time. For autographs, you will have to check the guest’s schedule in the autographing area when you arrive. Closer to the convention, various maps will pop up on the New York Comic Con site. These maps are your friends! There is a show floor map, a convention center layout, and other helpful guides (like where the offsites are located). If there is something specific you want to do, make sure you check out the map so you have an idea of where you’re going. In general, when you first enter the convention center, you’re in what is called the Crystal Palace. The Crystal Palace has Registration and Will Call as well as various installations and exhibits. Last year, Javits panels (except for Main Stage), were all held in Hall 1A, which is around where you will be let into the convention center, on the lower level. Most autographs and photo ops are in Hall 1E. The Queue Hall is 1C. Main Stage is 1D. Last year, Artist Alley was in Hall 1B. The convention floor is Level 3 and has multiple entrances along the Crystal Palace. Level 4 features a Cosplay Area where there will be a wall (with the ReedPop logo) for photos and several seminars throughout the day. Level 4 also contains the Press & VIP Lounges, which are only accessible to Press & VIPs. The crowd in the Javits Center. What kind of bag you bring depends entirely on you. I usually bring a backpack and an extra tote to carry anything I buy. I almost always just buy art at New York Comic Con, and having a separate bag prevents the prints from getting bent. You don’t have to bring a backpack if you don’t want, but depending on how long you’re going to be at the convention, and how much you intend to buy, I’d suggest carrying one. New York Comic Con usually has free bags available somewhere, and last year Syfy gave out free ones, so if you don’t want to bring an extra, you’ll still be able to grab one somewhere. Hoodie or light jacket – October in NYC is unpredictable, weather wise. Sometimes it’s warm and sunny, and I’m okay in jeans and a t-shirt. Two years ago, it was chilly and rainy, and I needed a hoodie and an umbrella. Plus, while the show floor can get stuffy, the panel rooms are usually air conditioned. Best to layer! Refillable water bottle – It’s very important to hydrate at a convention. There are water fountains all over the place, and bottled water is expensive. Rubber bands (for posters) or a poster tube – If you’re planning on purchasing posters, I’d bring your own tube. (Some vendors will also sell tubes.) But a lot of booths give out posters as freebies, and if you get any of the signings in the lotteries, they’ll usually give you a poster for the cast to sign, and it can get awkward carrying them around. So bring something to roll them up! Snacks – Is there food in the Javits? Yes, there is. But it’s pricey, so I’d recommend bringing your own. Deodorant – A lot of people go to NYCC. People sweat. Cash – There are ATMs in the Javits, if you don’t mind paying the fees. But if you can go to a bank before the convention and grab some cash, I would. Everywhere in the Javits takes cards, and now so do most vendors and artists, but wi-fi in the convention center is spotty, so bring cash. How much depends on you, but I wouldn’t bring everything in cash, just in case. I briefly touched on this before, but it’s important, so I’ll go a little more in depth. There is a food court on the lower level of the Javits with quite a few food options. There are also a couple of places in the Crystal Palace to grab a quick bite, including two Starbucks. For the past several years, there have been “fandom” food trucks just outside the convention center. However, the food is NOT cheap – even the drinks in the vending machines are $4 – so I’d recommend bringing your own. The Javits allows outside food (Madison Square Garden and Hammerstein Ballroom are a little more strict about what you can bring in – pay attention to the information you are given in line but in general NO outside food), so I always bring my own with me. If you’re coming in early, search Google for grocery stores near where you’re staying and grab some essentials. (My standard con food is peanut butter sandwich, Goldfish crackers, fruit snacks, beef jerky, and protein bar.) Depending on where you’re coming from, you’ll probably pass by a deli on your way to the con in the morning, so you can duck in and pick up something there. The Duane Reade on 8th and 34th (near Penn Station and MSG) has things like sandwiches and salads that are ready to go. There is seating available in the food court and sporadically in the Crystal Palace, but it’s not uncommon to see people sitting on the floor, on the stairs, or on the curb outside (weather permitting). Basically, sit wherever you find the space, so long as you’re not in the way. If you need a break from the con, or if you want dinner on your way out, Hudson Yards is now open and features a variety of restaurants. Also, if you walk a couple blocks up to 10th Ave or 9th Ave, there are plenty of relatively inexpensive restaurants for you to choose from. NYC is a city of food. There are literally thousands of restaurants. You will be able to find something you like. There are multiple ways to get to the Javits! If you are staying in one of the “official” convention hotels, then you are probably within walking distance. The Javits is located on 11th Avenue between 34th Street and 39th Street. The main entrance is located between 37th and 38th Streets. If you are not within walking distance, there are still multiple different ways (other than, you know, Uber, Lyft, taxi). The 7 train to Hudson Yards. The 7 is the easiest way to get to the Javits, and you can transfer to the 7 from virtually any other line in the city. Most trains you will transfer to the 7 at Times Square, but for the BDFM lines you will transfer at Bryant Park, and the 456 will transfer at Grand Central. Take the 7 train to the very end of the line – Hudson Yards station. It is almost directly across the street from the Javits. ACE lines or New Jersey Transit to Penn Station. If you are coming from New Jersey, you will probably be taking NJT, which will take you to Penn Station. You can also take the A, C, or E trains to Penn and walk from there. From Penn Station you will want to head to 34th St and walk in the opposite direction of the Empire State Building, almost all the way to the river. (If you are going to Hammerstein or MSG, stay in the area! MSG is directly above Penn, Hammerstein is basically just around the corner. The M34 bus. The M34 bus goes down 34th Street to the Javits, if you don’t want to walk. You want to be on the north side of the street to head west to the Javits. Well…this one is tricky. New York Comic Con is notorious with their poor line-handling. NYCC lines (outside the convention center, at least) can get chaotic and confusing. One important thing to remember is that there are two separate entrances to the Javits. The one closest to 34th Street is for professionals, exhibitors, press, and VIPs. If you have a regular attendee badge, you are to use the entrance on 11th Ave between 37th and 38th Streets. In the morning, the line will start there and then go down 40th Street and wrap around behind the Javits. The convention center opens at 7am, at which point you are funneled into the building – going through security (metal detectors and bag check) and tapping your badge – and down into the Queue Hall. No matter what you are doing, you are directed to the Queue Hall. Exclusives? Queue Hall. Convention floor? Queue Hall. Panels? Queue Hall. Inside the Queue Hall, they have separate lines depending on what you’re there for. The LEFT side of the Queue Hall will be divided into different chutes, one for each Main Stage panel that day. Line up in the appropriate chute for a chance at one of the remaining seats. The RIGHT side of the Queue Hall is the “everything else” line. If you want to go to any other Javits panels, the convention floor, or Artist Alley, you line up here. Remember, if you are doing the programming at Madison Square Garden, Hammerstein Ballroom, or Hudson Mercantile, it is NOT necessary to go to the Javits first. Head to whichever offsite and line up there! Be advised that each venue has its own rules about outside food and drink. I know MSG does not let in anything that isn’t sealed. 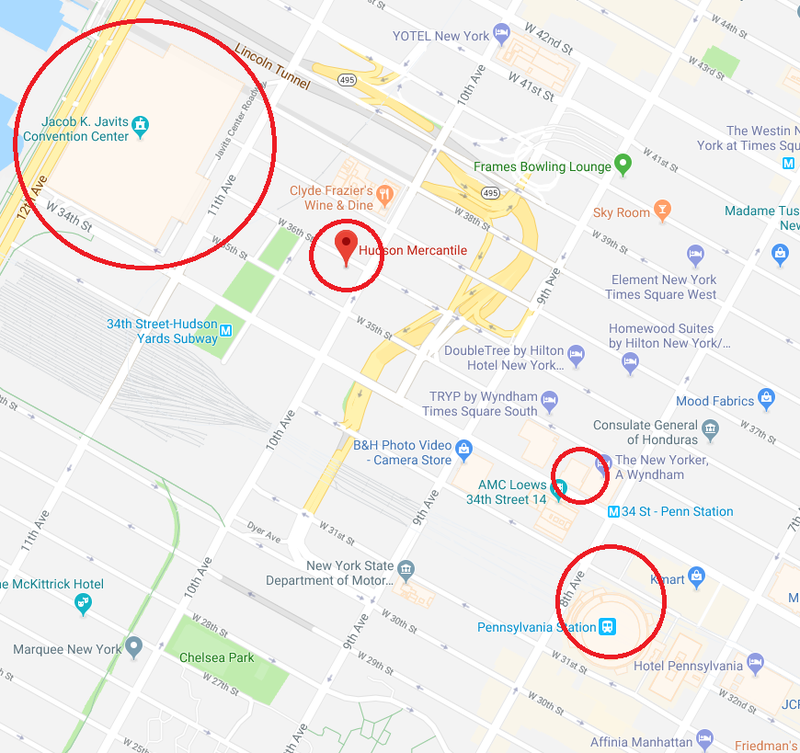 The entrance to the Theater at Madison Square Garden is on 32nd St and 7th Ave. Hammerstein Ballroom is in the Manhattan Center, located on 34th St, just past 8th Ave, across from the AMC Theater. Hudson Mercantile is on 36th St and 10th Ave. The MSG circle is a little off but you get the idea. You can get there early if you want to, but unlike SDCC, is it really not necessary to camp out for anything at New York Comic Con. In fact, I wouldn’t recommend it. There isn’t a lot close by that’s open all night to get food or use the restroom, it’s all pavement, and it will be October, so the weather is difficult to predict. 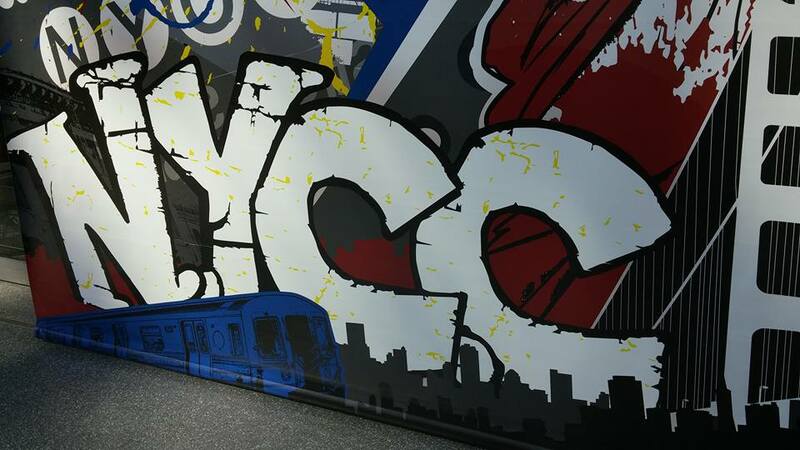 Follow NYCC Lines on Twitter for real-time updates on the status of various lines! Here’s a basic overview of stuff that’s available in the Javits Center. Food court. Check out the “Food” section for more. Lost and Found. Located in the Security Office. Wi-fi. It’s not great, but there is free wi-fi available during NYCC. Coat Check. There is a coat and bag check across from the Starbucks on the lower level of the Crystal Palace. Cost is $3 per item. You can not use anything with wheels (except regular-sized strollers and wheelchairs, of course) on the show floor without an ADA sticker. ATM. There is a Chase ATM near the food court. I believe they also set up ATMs on the show floor but I am not positive. If you were unsuccessful at getting a Main Stage panel seat in the Pre-Show Lottery, you can line up in the Queue Hall for another chance. Remember, there will be a separate chute for each panel. This is first come, first served. Each chute is labeled white a giant whiteboard. A whiteboard at the entrance to the Queue Hall will say whether or not a line has been capped. 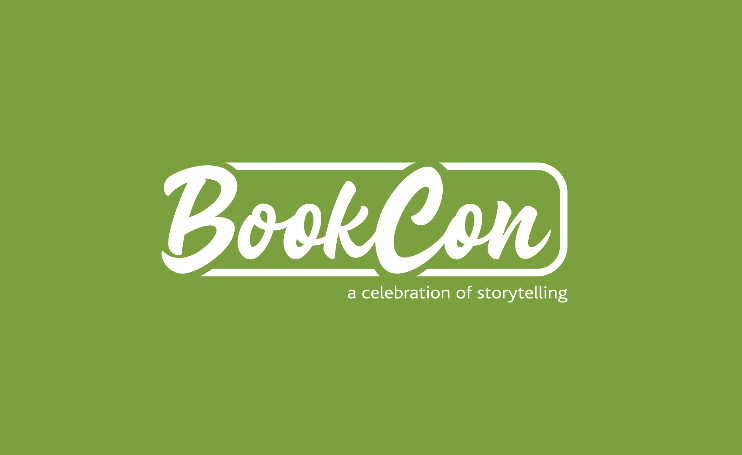 Starting at around 9:30am, they will start tapping badges to register you for the panel. They’ll go through the line until the panel is full. Once you tap your badge, you should get an email verifying that you have a spot in the panel. Then, you can go enjoy the convention! About 35 minutes before the panel, head back down to the Queue Hall, where they will tap your badge and let you in line. It is difficult, though not impossible, to get into more than one panel, but I would pick which one you want to do most and get in that line first. You’ll be able to judge your odds once you see what the lines look like in the morning. It also depends on when they start tapping badges, because it’s not consistent year-to-year or even day-to-day and panel-to-panel. Starting in 2019, Hammerstein and MSG will also be included in the Pre-Show Lotteries. It is not yet known how many badges will be available in the lotteries. Lottery winners will have a section of reserved seats in each room, and this section will be cleared after each panel. The room itself will NOT be cleared, so if there are available seats in the general seating, feel free to snag one! If you did not win a seat in the Pre-Show Lotteries, line up in front of the venue for a chance to grab one of the remaining seats. Neither venue clears entirely after each panel, so there should be no badge-tapping like there is with Main Stage panels. Lining up in front of the venue should suffice. I will update this if something changes. Don’t miss the floor! Use the map if you’re interested in something specific, but if not, just browse! 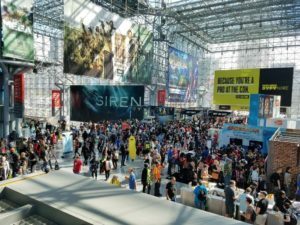 The floor at New York Comic Con is home to publishers (books and comics), studios, TV shows, and various vendors featuring all sorts of geeky merchandise. If you’re interested in signings or giveaways, the booths generally have paper copies of their schedule to hand out so you know when everything is. The floor is crowded, so be mindful of others when walking. If you have a backpack, make sure you don’t smack anyone with it when you turn around. Don’t stop suddenly in the middle of the aisle and generally just try to keep the flow moving until you can step aside and out of the way. If you see a cosplayer you like, be polite! Cosplay is NOT consent. Ask if you can take their picture, and move off to the side so as to not block the aisles. If you’re really into cosplay, a lot of cosplayers convene directly in front of the Javits on the interior roadways. Make sure you visit Artist Alley, as well! A lot of artists open up commissions before the convention, so keep an eye out for that. New York Comic Con always posts a list of the artists attending with a sample of some of their work, so you can scroll through that and see if anything catches your eye. 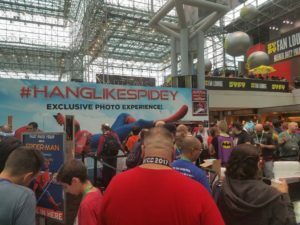 Every year, New York Comic Con hosts several fan meetups! Set aside in their own room, you can check the schedule for the show or genre you’re interested in, and then go and meet like-minded fans. I know for sure there is always a Harry Potter meetup. I’ve also met quite a few people by just talking to the people nearby me in line, or sitting beside me in panels. Cons are a great way to meet people who share your interests. If you’re feeling a bit overwhelmed, you can head outside the convention center for a bit for some fresh air, or visit the Quiet Room, on the lower level, near the Queue Hall. Probably! I tried to make this as comprehensive as possible, but when you’re a local who’s been attending for years, it’s hard to think of what new attendees might need to know. If there’s something I didn’t cover, or that isn’t covered in any of the pages I linked to, feel free to ask, and I’ll do my best to answer. I hope I see some of you at New York Comic Con this October! Next: ‘Scotty and the Secret History of Hollywood’ Opening This July!